I do not wish to harp on about the remarkable race which nearly brought motor racing to an end all those long years back. 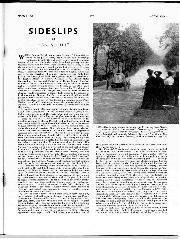 But the Paris to Madrid contest of 1903, over unclosed highways across Europe is sufficiently remarkable, and so often misreported, that it surely merits a recall, which need not be either melodramatic or morbid. First of all, to those whose interest in the finest sport of all begins in 1950, when the first of the modem-style World Championship Grands Prix commenced, or even later, you may not have any conception of what this ambitious town-to-town race entailed, not far short of a century in the past. How can followers of modern motor racing visualise an entry of 314 for such a race, at a time when the automobile was only just emerging as a serious proposition? And apart from that, these competitors were intended to race over a distance of some 900 miles. 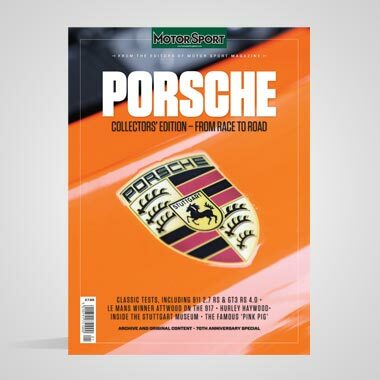 Nor must it be thought that the pace of the cars which took part was in any way moderate the fastest of the racing cars in the top 100kg category were capable of some 100mph. It was to have been a great happening; but it all went badly wrong. So many accidents were caused by the crush of excited spectators who, anxious to get as close as possible to the speeding, dust-enshrouded cars and inadequately controlled by a quite insufficient number of police, that a race which should have continued over the rough roads and the Guadarrama mountains of Spain was ignominiously stopped by decree of the French Government at Bordeaux, after 342 miles of furious speeding over the long straight roads of France. The horror was draconian, and of course much exaggerated, to the extent that the cars which had arrived in Bordeaux were required to be towed, engines silent, to the railway station behind horses or mules. It could have spelled the end; yet motor racing survived this major calamity, as it did the even bigger disaster at Le Mans in 1955, one which I have no intention of dwelling on, except to make the point that if a sport is sufficiently in public demand it should be able to survive anything - boxing, for example. Yet one has to remember that it was a single accident involving the onlookers of an errant Riley which in 1936 finished the excellent Ards TT, and that similarly the great Mille Miglia was never held again after the Marquis de Portago's Ferrari crashed into spectators in 1957, again sadly with fatalities, ending forever this magnificent revival of the old town-to-town events. 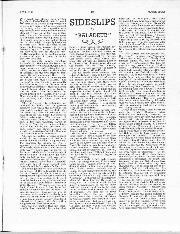 Even back in 1903 it was by no means certain at first that the ambitious Paris-Madrid contest would take place. 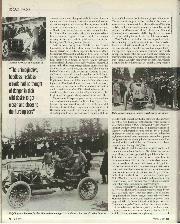 On April 1 the well-known and influential Count Eliot Zborowski, who had so nearly won the previous year's Paris-Vienna race for Mercedes, had been killed in the La Turbie hill-climb at Nice when his new Sixty Mercedes hit a stone wall. It was thought that his cuff with its gold links had caught in the hand-throttle and opened it, causing the car to enter the corner too quickly. This caused widespread depression, and in spite of the trade benefits to towns on their routes which these early races were bringing, it seemed that the French government might stop the ACF from holding Paris-Madrid. It had already banned the Pau Week in February and the hoped-for Nice-Salon-Nice race. But King Alfonso, who was so keen on racing and motoring and a great Hispano Suiza advocate, agreed to the route to Madrid being used, and grandstands were erected in readiness. So the French authorities relented, and this great race was on. It was to be run in three stages Versailles-Bordeaux, Pessac-Vittoria and Vittoria-Madrid. It is difficult for us now to visualise such a race over such a distance for such primitive yet fast cars, drivers completely unprotected from the dust and stones, the tyres questionable, and overtaking hazardous, especially when dust-clouds obscured the road so much it was said that sometimes corners were judged by the route of the roadside telegraph poles... The distances of these epic contests are also staggering, some far exceeding Paris-Madrid - there was the Paris-Bordeaux-Paris race of 732 miles, Paris-Marseilles-Paris of 1063 miles, and many others over equally formidable mileages. Even when closed circuits had replaced these open-road racing marathons, the two-day 1906 French GP was of 770 miles, won by Szisz's Renault at 63mph, and the 1912 race, also two days, lasted 956 miles. 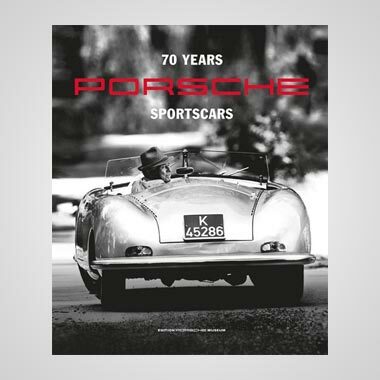 It is also not easy to understand the interest displayed by manufacturers in building racing cars with almost dangerously frail chassis and fragile engines of considerable power, in order to win at a time when car sales could not have been all that great an inducement. Yet for Paris-Madrid, Mercedes had new power units of a nominal 90hp, Mors their 70hp racers, and Panhard those impressive 80hp jobs. Wolseley was there from England and Gobron-Brille had built enormous opposed-piston road-burners of 110 rated hp, all in the Heavy-Car category for which they had to weigh no more than 1000kg, but with 7kg extra allowed if weighed with the magneto attached... In the end about 225 cars took part in the Madrid race. Dramatic racing was forecast; too much so, as fate was to decree. 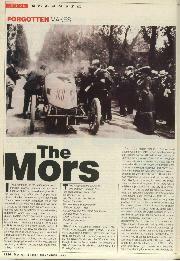 Yet another surprising factor about these truly empirical motor races was the interest they generated. Here I am going to poach on Gerald Rose's description of how this manifested itself before and during Paris-Madrid. 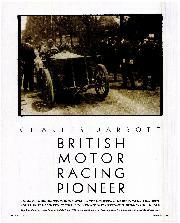 He wrote the following in A Record of Motor Racing, the only accurate account of these races then available. "Early on the Saturday evening, after waiting for dawn to break (the race began at 3.45am on the Sunday) the spectators started making their way to Versailles, an exodus greater than ever before. The stream became denser and denser; it was said that 100,000 persons passed along the road to line the course on either side. When Charles Jarrott, the first to go, set off on the big de Dietrich, he disappeared into a solid wall of spectators which opened out just enough to let him pass, then closed in behind. 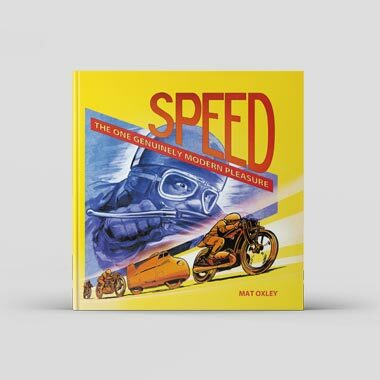 That fateful day some 225 cars lined up, engines running, cutting in and out with a penetrating stutter in clouds of blue smoke as the minute intervals for leaving approached." So to the race. Having drawn No1, Jarrott held the lead for a while, but the de Dietrich was an un-tuned car, never having been in top gear before apparently. So de Knyff on the Panhard 80 passed him. But soon it was Louis Renault on his 30hp light car who headed the long line behind him, having been timed at nearly 90mph between Bonneval and Chartres, where Sidney Girling's Napier had got to sixth. Then Werner forged ahead on the Mercedes 90 until its back axle broke, and de Knyff also went out before Tours with a useless camshaft. Madame de Gast's de Dietrich was well up until overtaken by 'Red Devil' Jenatzy on his big Mercedes. It was a desperate race. The Englishmen Stead and Salleron on de Dietriches were fighting a 150-mile duel until the latter, a Yorkshireman, was cut up by another car at 80mph and overturned in a ditch. Lorraine Barrow's de Dietrich 45, when he tried to avoid a dog, shot into a tree, impaling a dumb-iron, the Englishman being seriously injured and his servant killed. 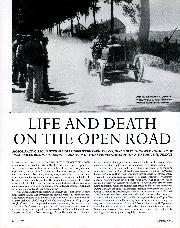 Marcel Renault, in passing another car, ran into a ditch and died soon afterwards, the Renault on top of him. Maurice Farman abandoned the race to help, as did Madame de Gast. 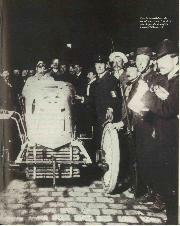 Receiving news of the accident at Bordeaux, Louis Renault, who had won the Light Car class at 62.3mph, and was a glorious second overall, withdrew his cars. Of those cars that had started, 98 got to Bordeaux. The rest had either given up, had mechanical troubles, or were victims of those awful accidents. Gras (de Dietrich) collided with a shut level-crossing, the cars of Beconnais and Jeandre (Darracq and Mors) collided, and Tourand (Brouhot), trying to avoid a child in his path, swerved into the crowds killing his mechanic, the child, and a soldier. Mark Methew was luckier; the steering of his Napier failed, sending the car harmlessly into a tree, but two other Britons were less fortunate. Leslie Porter on one of Herbert Austin's Wolseleys came fast up to a turn unguarded by the expected flagman and failed to get round; the wheels collapsed, causing the car to hit a wall and catch fire, throwing off Nixon, who was killed. It may be significant that Austin's Wolseley raced with strengthened wheels not fitted to the other team cars, as Bob Montgomery's excellent little book about the life of Ireland's Leslie Porter describes. And Delaney (of the family which still races Lea-Francis cars in VSCC events, led by Tom Delaney) lost it at another corner and his de Dietrich overturned. There were other crashes, some serious - the de Dietrich of Barrow was said no longer to exist as a car - others less so, but current and some subsequent reports have greatly exaggerated them, placing the blame on the onlookers unused to the speed of the cars. The crowd has been quoted as numbering 3,000,000. Through it all, with hot weather an additional hazard, came the triumphant Ferdinand Gabriel on the streamlined Mors, at an average of 65.3mph. His number was 168, which caused some accounts to praise him for having overtaken 167 rivals. 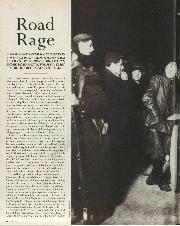 But Kent Karslake, in an as usual scholarly article in MOTOR SPORT in 1951, pointed out that due to non-starters he was actually sent off as the 82nd starter and that as some of the cars he overtook must have been stationary, he did not have to rush by all of them in the dust clouds. However, he must have had to pass 40 to 60 of his rivals, a wonderful performance in the circumstances; so, as Karslake observed, there is no need for myth in order to inspire posterity with awe. 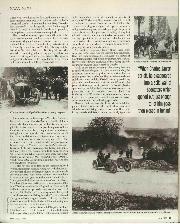 Equally creditable was Louis Renault, who on a car of 40 fewer rated hp than the winning Mors was second overall, at 62.3mph, only 15min 8sec after Gabriel. He had vanquished all the 'heavy' class, of which Salleron's 70hp Mors was third at 59.1mph, and Englishman Jarrott's badly prepared 45hp de Dietrich fourth at 58.2mph. An 18hp Clement managed 47.2mph, to head the Voiturette class. So ended the remarkable race, ending the then-current country-to-country contests. Indeed, a landmark, if a terribly sad one, in motor-racing history.